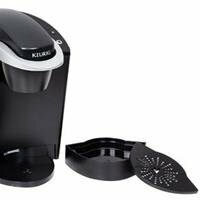 Our Keurig K55 Review will show you why this is such a popular coffee maker. One of the biggest reasons why this machine does so well is its simplicity. It doesn’t have many of the bells and whistles that other machines have. There are no distracting screens, sounds, or doodads. This machine performs one purpose only; making phenomenal beverages. Not only does it do this at the push of a button, it makes these drinks very quickly. It’s very affordable price coupled with the high quality drinks it makes have given it a strong reputation. People love everything about this machine. A google search will reveal thousands of rave reviews on the K55. 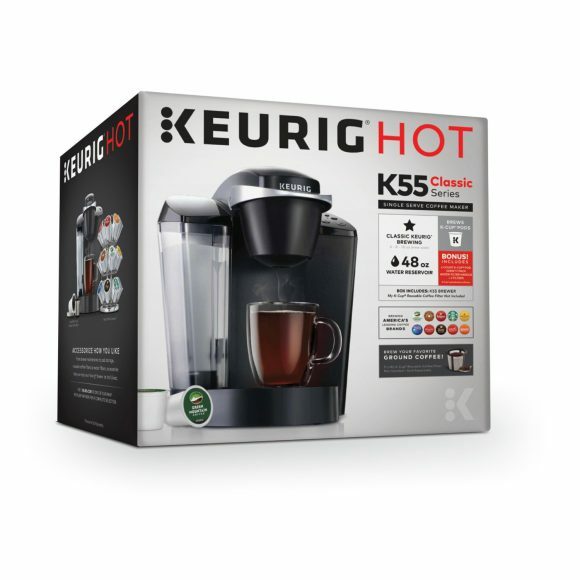 To protect your purchase, Keurig has included a 1 year warranty with this coffee maker. Have a look below for some of this unit’s features. The K55 is capable of making many of your favorite beverages. These include coffee, tea, hot chocolate, specialty drinks, and even iced drinks. This machine has 3 different brewing sizes: 6, 8, and 10 ounces. Using the K55 is an absolute breeze. Just lift the lever, insert the desired K-Cup, bring the lever back down, and select your size to begin brewing. As soon as the power button is pressed, this machine begins to preheat. This ensures that it produces coffee on demand rather than having to wait for it to heat up before each cup. 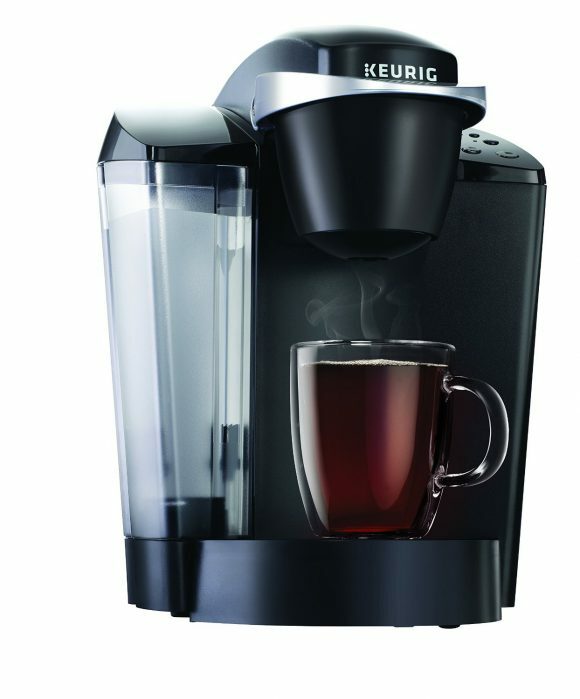 Keurig prides themselves on being able to produce your favorite beverages in under a minute with this machine. A large 48 ounce water reservoir is capable of producing up to 8 cups before needing to be refilled. The Add Water light will illuminate when the reservoir needs more water. Furthermore, this reservoir is removable. This makes it much easier to refill and clean than having to bring the entire machine to your sink. A programmable auto off function will automatically turn your machine off when it is not in use for a period of time. Indicator lights keep the user abreast of what the machine is doing. The lights on the top of the unit read: Add Water, Descale, Heating, Auto Off, and Power. A removable drip tray allows for easy cleaning. Simply slide the tray out of the unit and clean it in your sink. The tray can also be removed to accommodate larger glasses. The K55 is compatible with the My K-Cup reusable coffee filter. 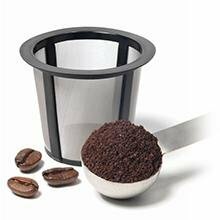 This filter gives the user the ability to brew from their favorite coffee beans rather than using pre-packaged K-Cups. This Keurig coffee maker measures 9.8″ wide by 13″ high by 13.3″ deep and weighs 12 lbs. 82% of reviewers have given this coffee maker a 4 to 5 star rating on Amazon. This rating says a lot about peoples’ satisfaction with the K55. The number one benefit that people cite is the unit’s simplicity and subsequent ease of use. They love being able to pop in a K-Cup and have their favorite beverage made in mere seconds. They also enjoy the freedom of using the My K-Cup filter to brew drinks from their favorite coffee beans. Users love how quickly the preheat function works. As soon as they power up the machine it begins warming up. Reviewers have noted that the build quality of this machine is quite impressive. The handle feels very sturdy as it is brought down to pierce the K-Cup. People love the low price of this coffee maker. Compared to other machines in its class, it is very reasonably priced. Many state their appreciation for the large and removable water reservoir. They don’t find themselves constantly refilling it which is especially suitable for larger households. In addition, they enjoy being able to bring the reservoir to their sink for refilling instead of having to unplug and bring the entire coffee maker. Appliance Savvy gives the Keurig K55 an unquestionable endorsement. This simple, yet high quality machine is able to make all of our favorite drinks with lightning fast speed. We really appreciate the large, removable reservoir. This convenient feature reduces refilling frequency and makes cleaning much easier. For the price, the K55 can’t be beat. 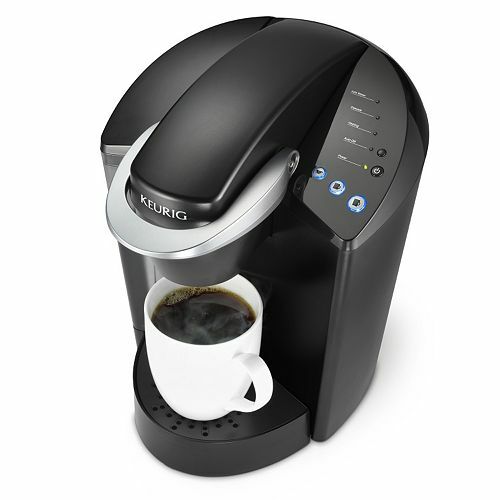 When considering the quality of drinks this machine produces, this Keurig coffee maker is an absolute bargain! We’ve been loyal Keurig purchasers for years and appreciate the outstanding and reliable products they produce. 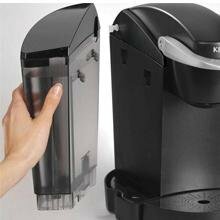 Keurig has cultivated a very strong reputation for their coffee makers and the K55 is no different. When buying your next coffee machine, keep the K55 in mind! We hope you enjoyed our Keurig K55 Review. Please feel free to share or leave comments below! Well a man who alway have had a coffee pot,going to k55 is going be Quick n easy cleanup and anybody can have any flavor of coffee no more one pot . It’s a quality machine and you won’t regret buying it. We can’t say enough good things about the K55. In fact, I’m drinking a cup of coffee brewed from that very machine as I respond to this comment! The refillable capsules you refer to are called “My K-Cups” and they work great! Good way to enjoy your favorite coffee beans and usually save some money. You’re very welcome. Best of luck! Keurig coffee maker’s like the K55 are so convenience and give me more time in the morning to do other things than wait for a pot of coffee to make. Unfortunately I’ve not been fortunate enough to own one for myself but I’ve worked a few places that have had one and they are amazing! I always use reusable K-Cups with regular coffee beans because it’s a great way to get delicious coffee fast and not waste a ton of money the little cups. This is a great machine to own. The reusable My K-Cup is a great way to brew from your favorite coffee beans and save some money in the process. Good luck with your Keurig purchase! This is the perfect Keurig for me because I am very simple. I don’t like all the bells and whistles and fancy stuff. I just enjoy drinking a great cup of coffee. And Keurigs make a great cup. They are also perfect for single people or for someone who doesn’t want to make a whole pot of coffee. Very good points! We know you will love this coffee maker. Just now I just read your introduction about another Keurig coffee maker (the K250) which is so nice already. Then I noticed this K55 and I think I’ll love it even more. 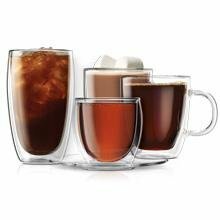 It’s not only for making coffee, but also other drinks like tea and chocolate, and even iced drinks. That’ll be a much better choice of machine I should put in my office and I’m sure my colleagues and guests will just love it. Although the K55 is a great machine, I tend to like the K250 much more. It’s smaller, has a beautiful touch screen, and the addition of the Keurig 2.0 technology. You really can’t go wrong with either of these coffee makers. Good luck!